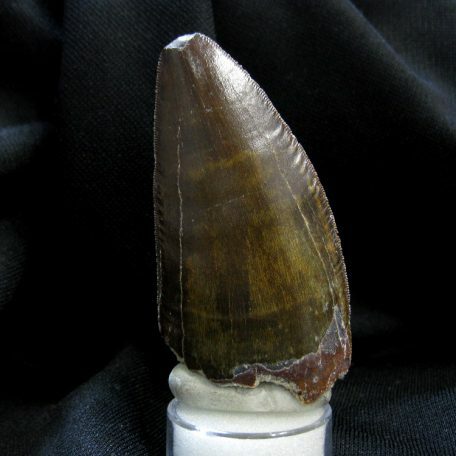 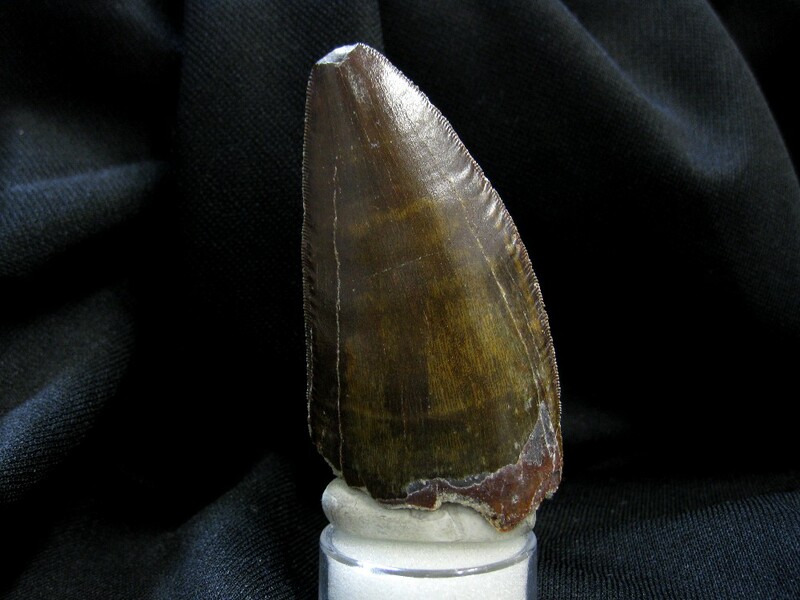 This is a BIG CARCH TOOTH! 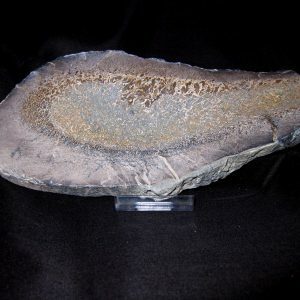 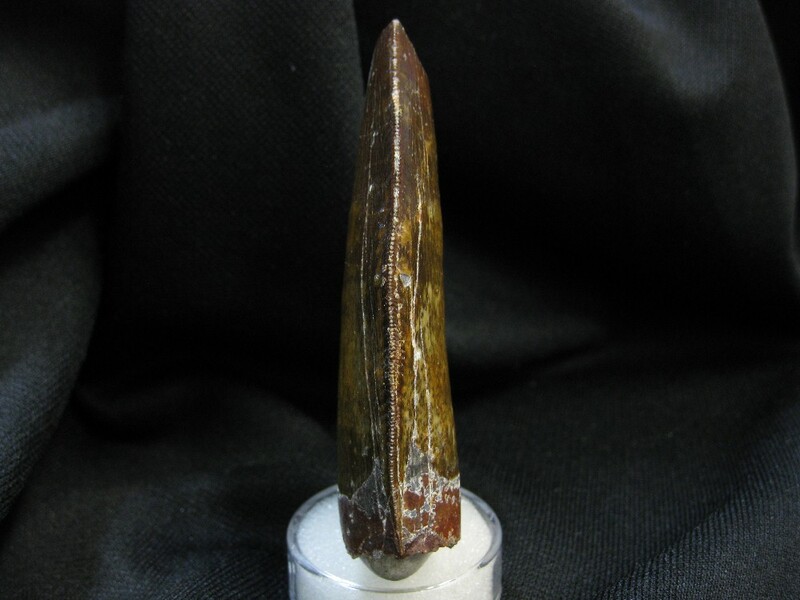 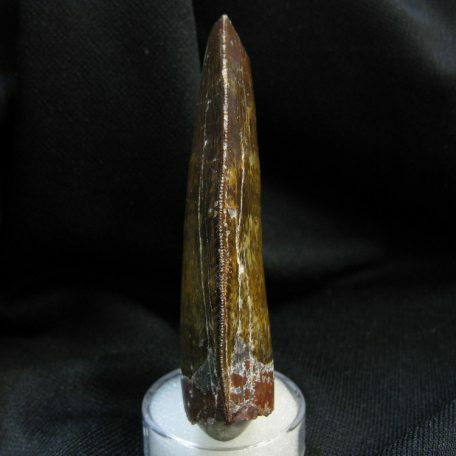 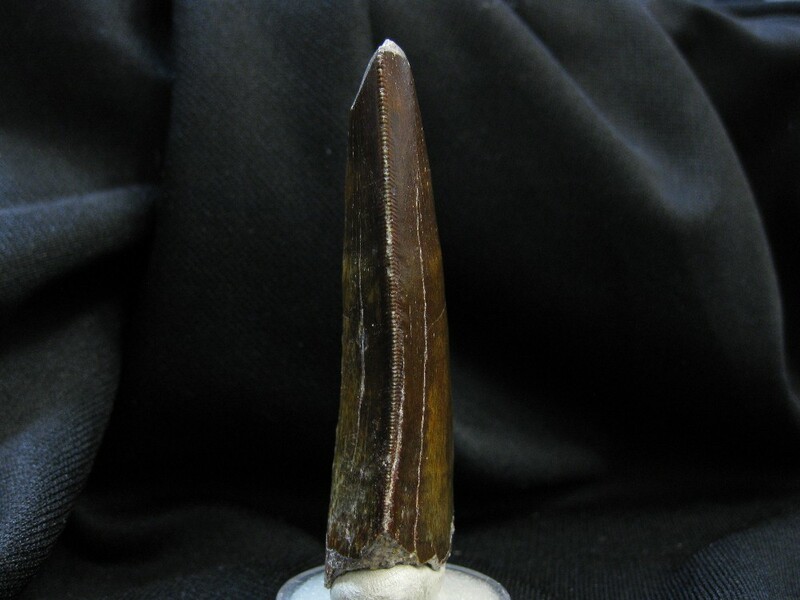 This specimen measures 3 3/16” long. 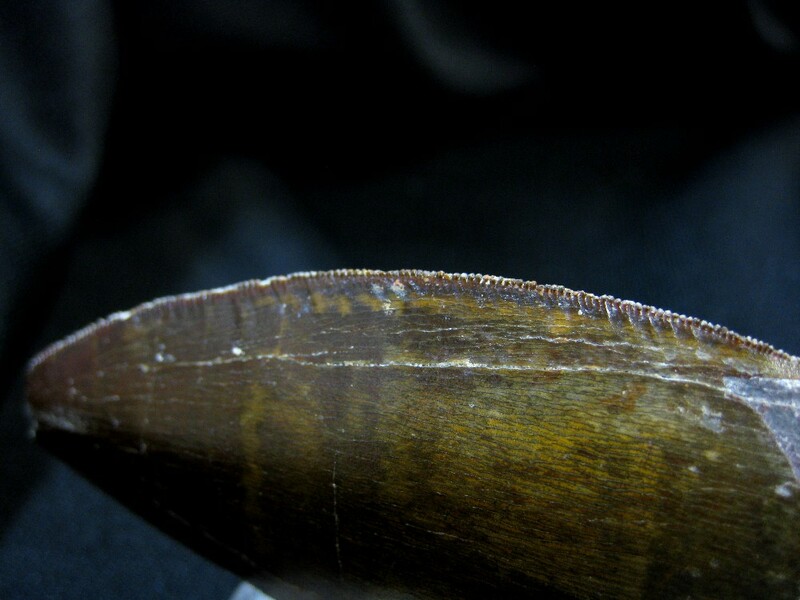 Big “Blades” like this are so hard to find nice and not restored and fabricated.. Genuine teeth like this one is a TRUE RARITY!!! 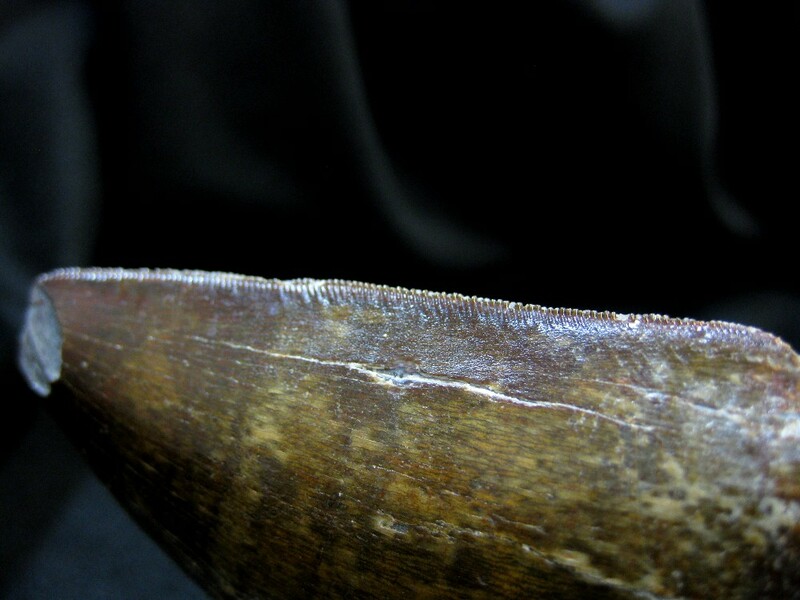 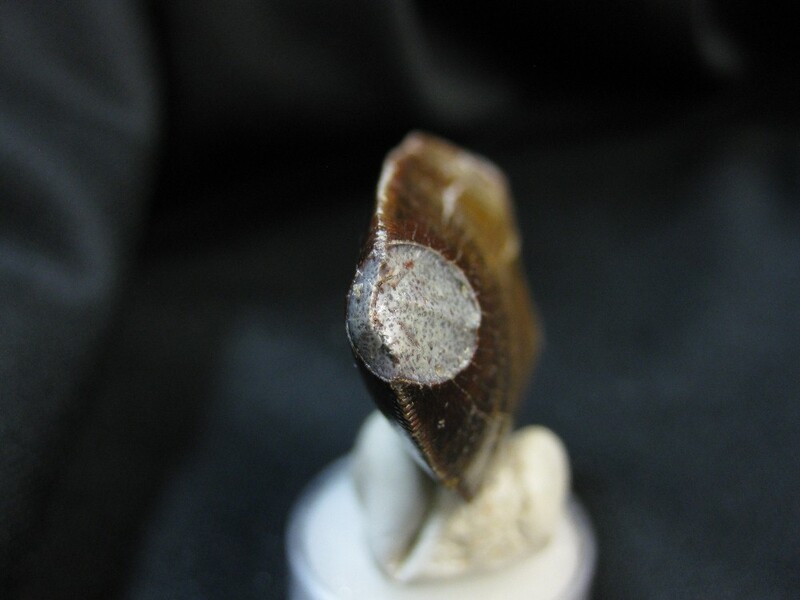 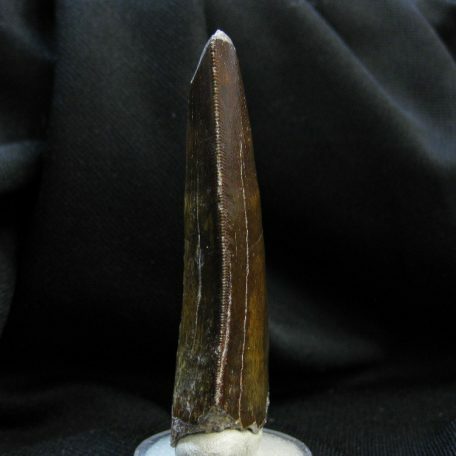 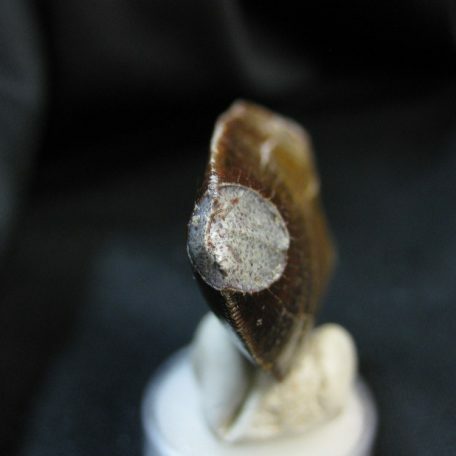 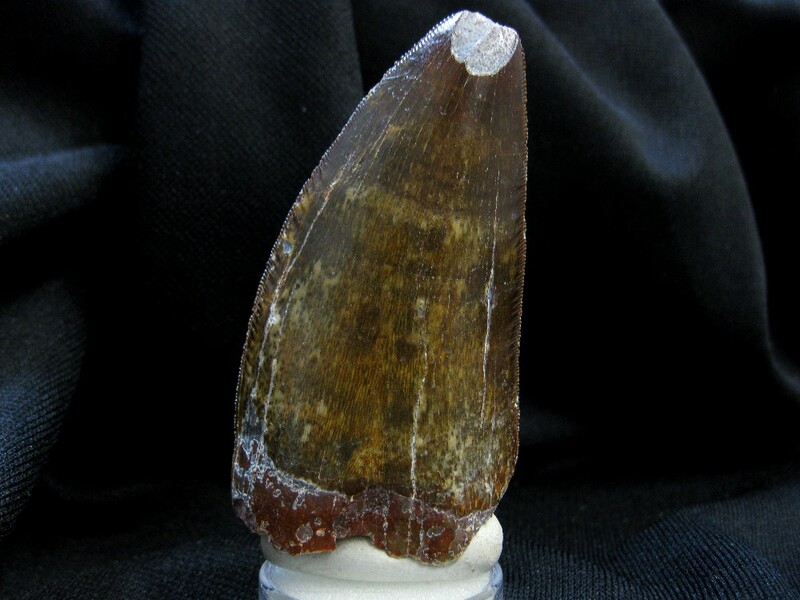 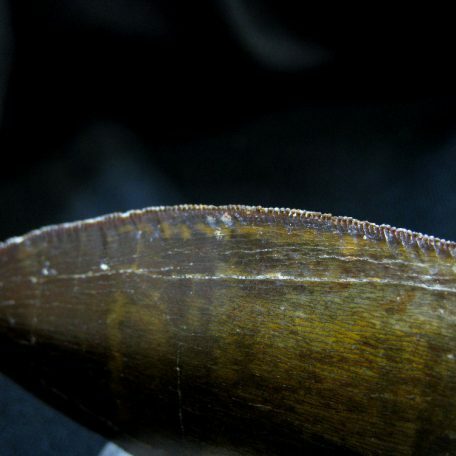 The enamel on this tooth is very good and the serrations are very sharp along both edges. 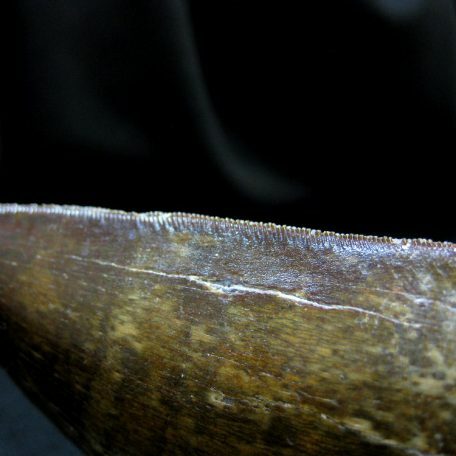 There is a nice wear pattern on the tip of this tooth. 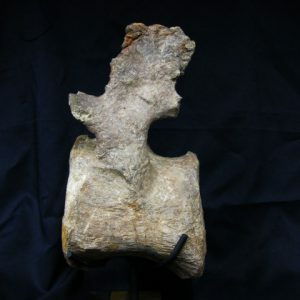 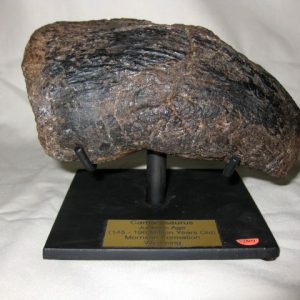 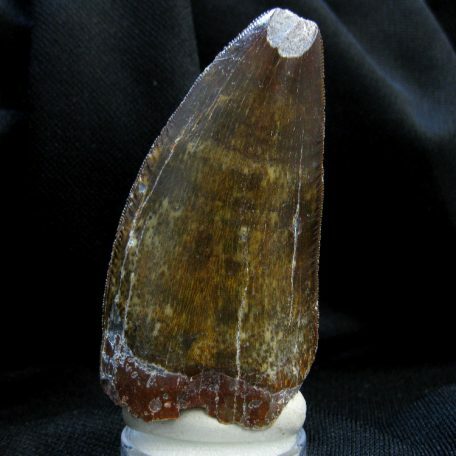 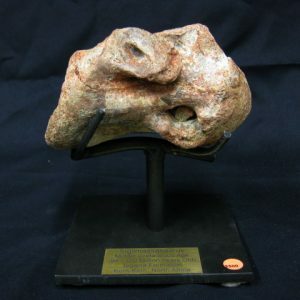 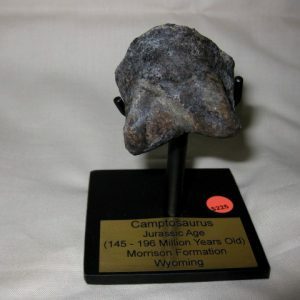 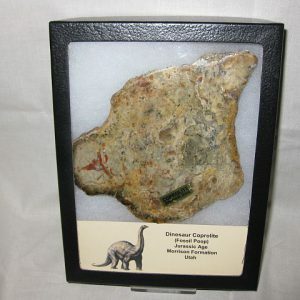 This specimen will come in the 6″ x 8″ Riker Mount as shown. 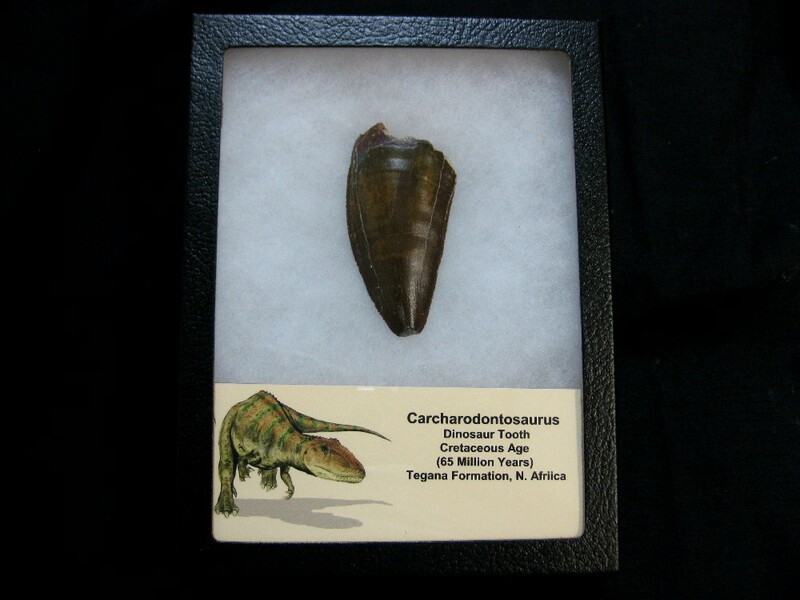 Carcharodontosaurus is a genus of carnivorous carcharodontosaurid dinosaurs that existed between 100 and 93 million years ago, during the late Albian to early Cenomanian stages of the mid-Cretaceous Period. 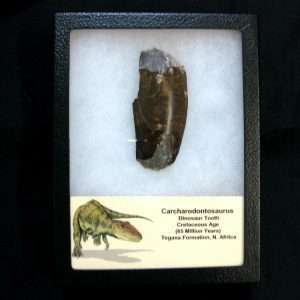 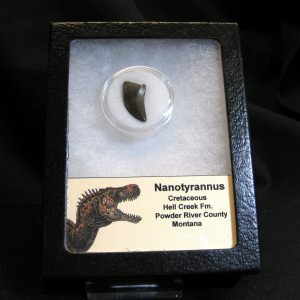 It is currently known to include two species, C.saharicus and C.iguidensis, which were among the larger theropods, as large as or slightly bigger than Tyrannosaurus and possibly slightly larger than Giganotosaurus, but not quite as large as Spinosaurus. 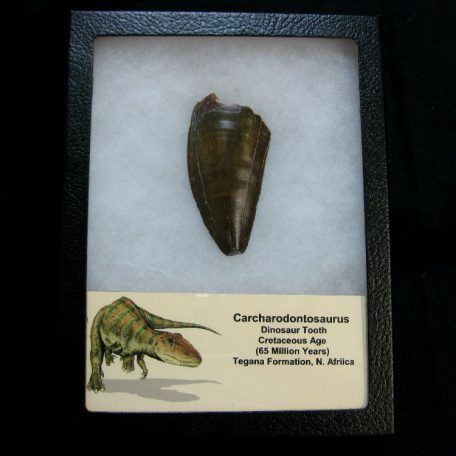 Carcharodontosaurus includes some of the longest and heaviest known carnivorous dinosaurs, with various scientists proposing length estimates for the species C. saharicus ranging between 12 and 13 m (39 and 43 ft) and weight estimates between 6 and 15 metric tons.